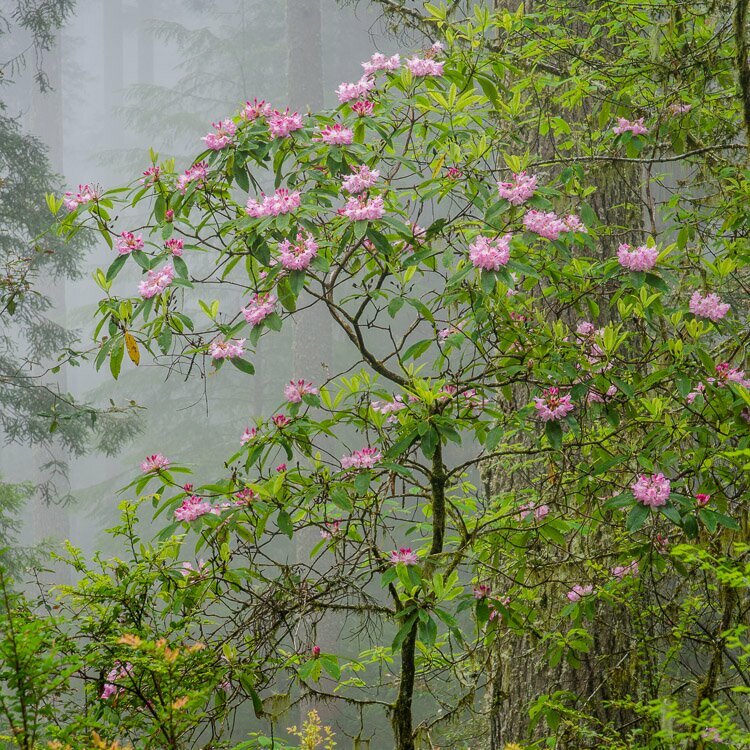 A few weeks ago, early one morning, I ran into a professional photography from Oregon. 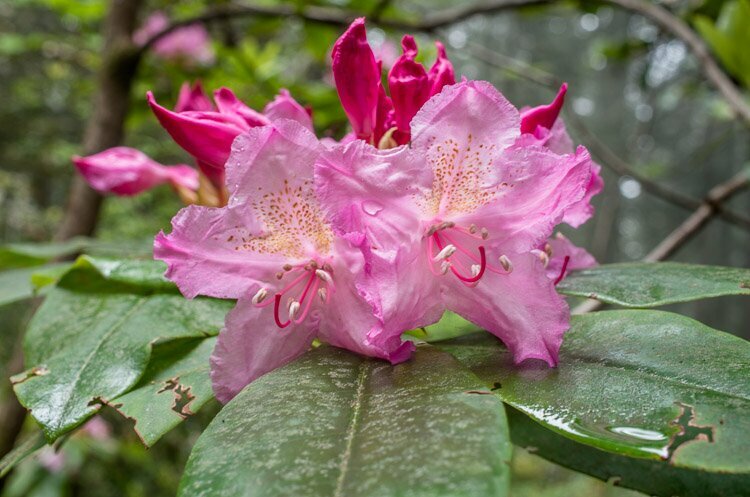 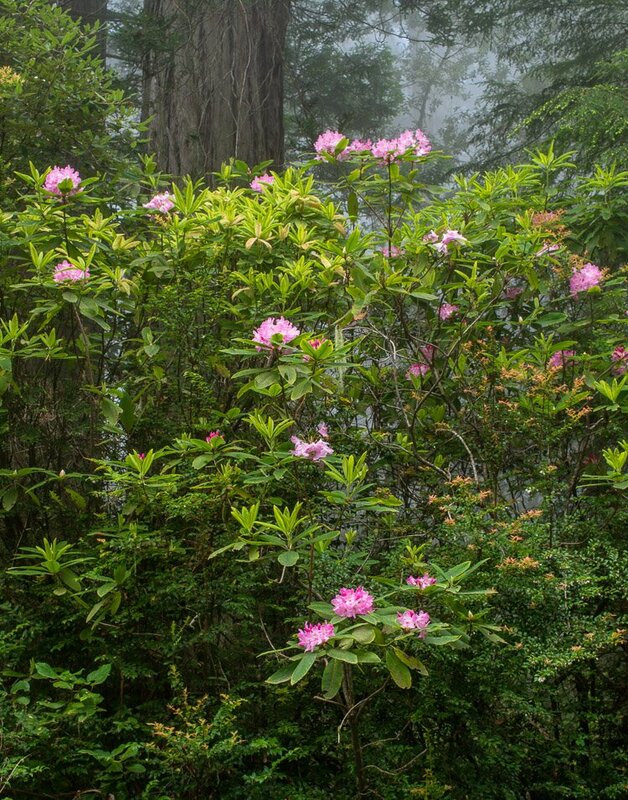 He had driven down into the Del Norte Redwoods to photography the rhododendrons, then in full bloom. 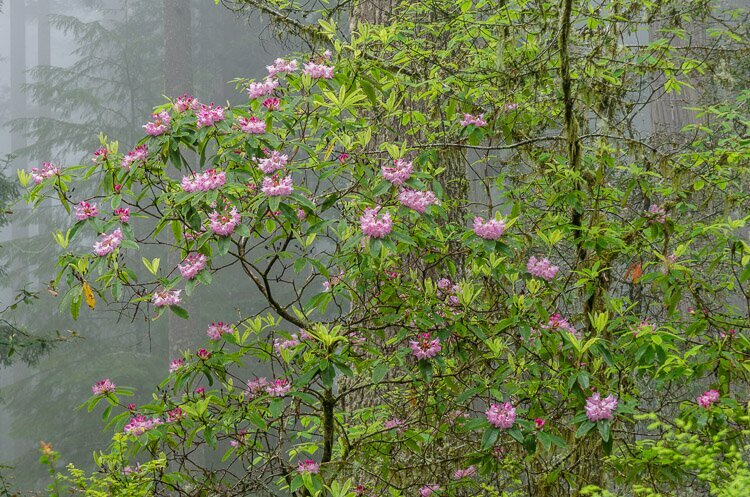 He asked me if I was there to get the shot, by which he presumably meant, that perfect rhododendron shot with a plant covered in blossoms right besides an immense redwoods, with rows of redwoods in the background draped in a thick blue fog. 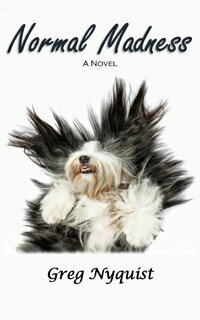 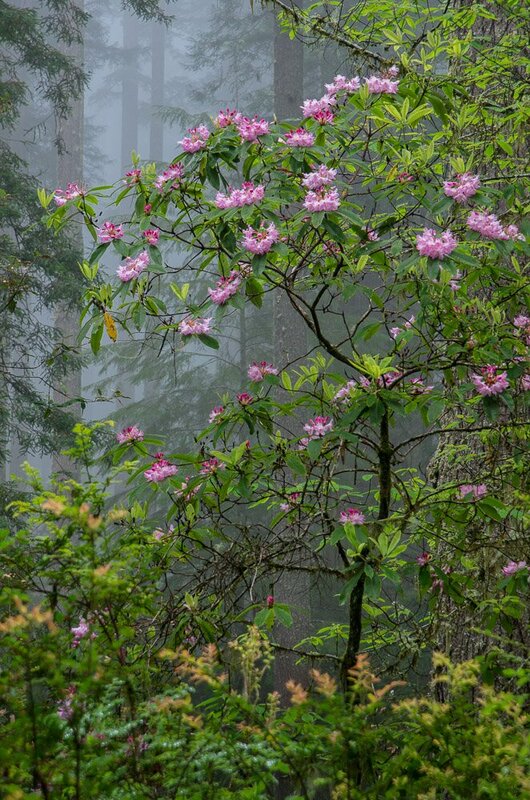 Occasionally, you will see that shot on a postcard or a website. 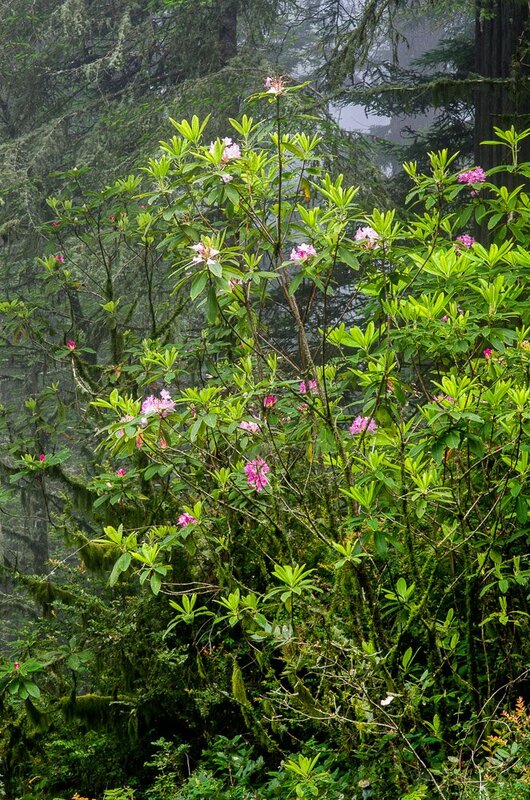 However, it’s not a shot one is likely to ever find in reality. 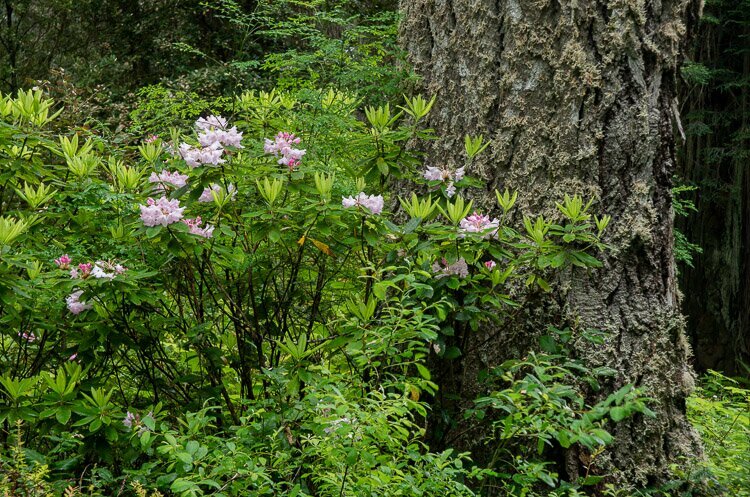 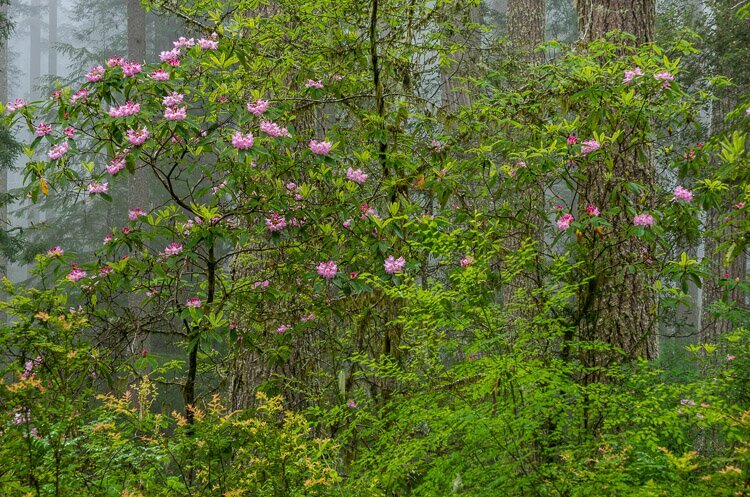 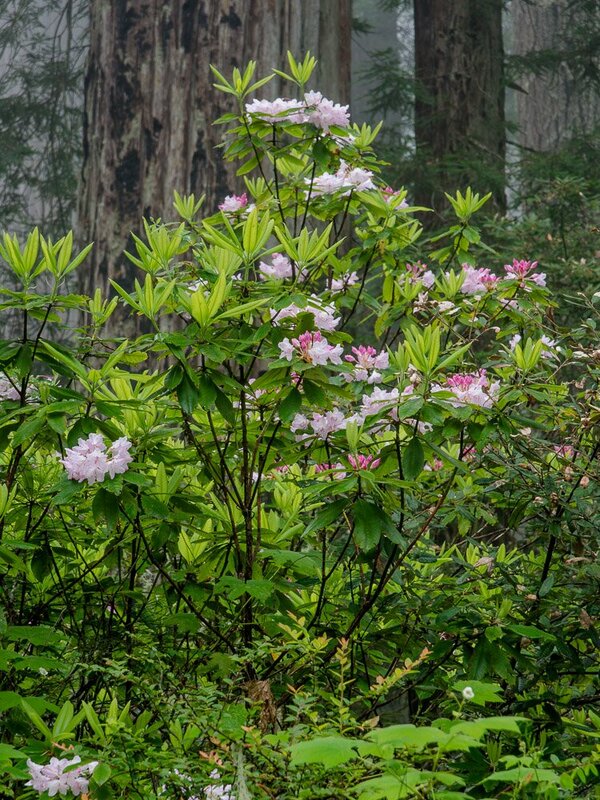 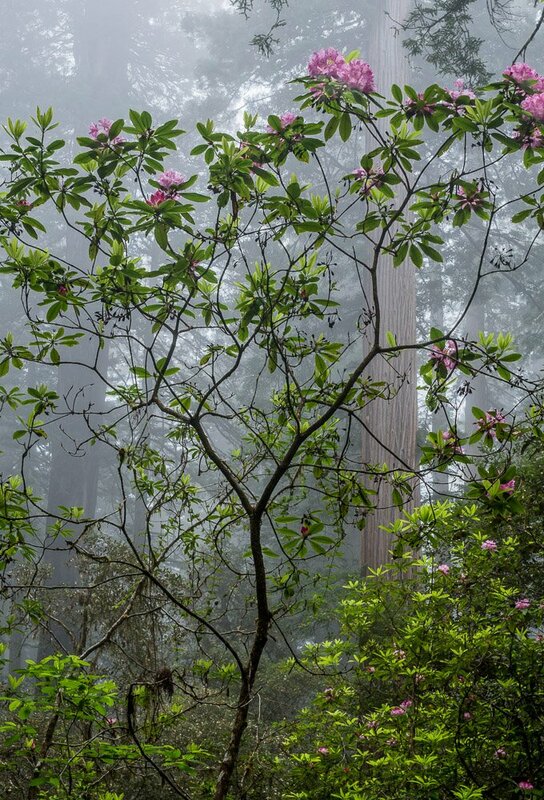 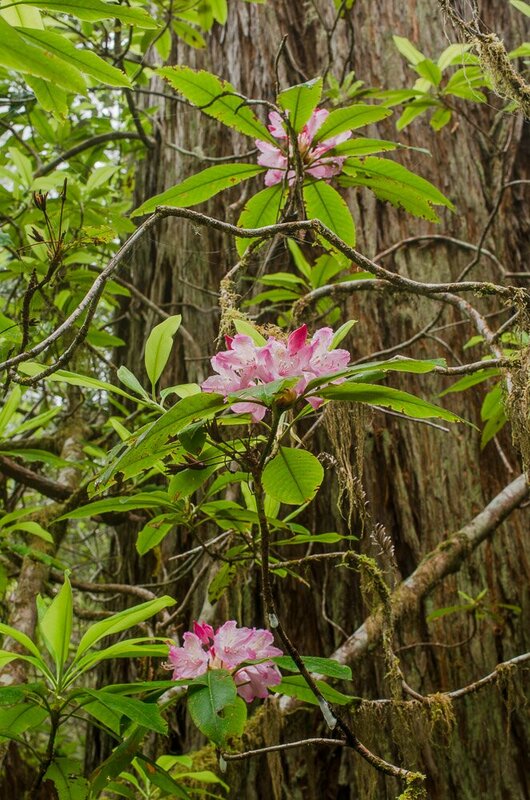 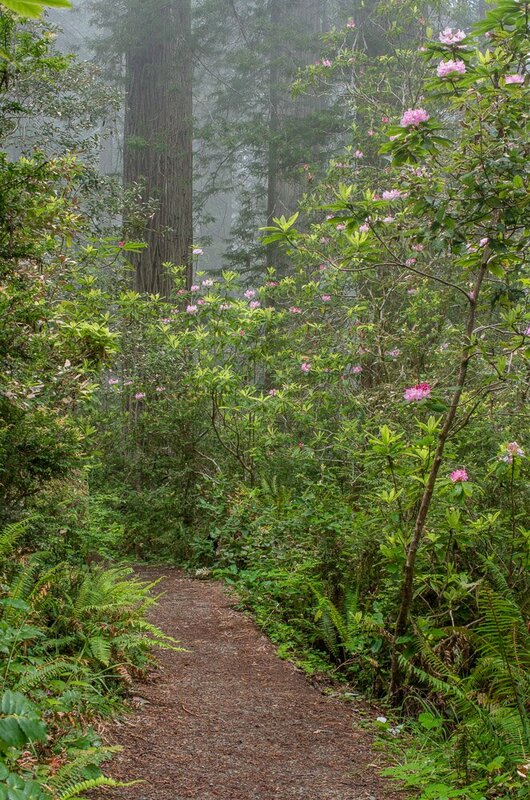 Rhododendrons bloom very sparsely in the thick, light-starved redwood forest; and worse, where they do bloom, they’re never in the right place, beside that giant redwood draped in fog. 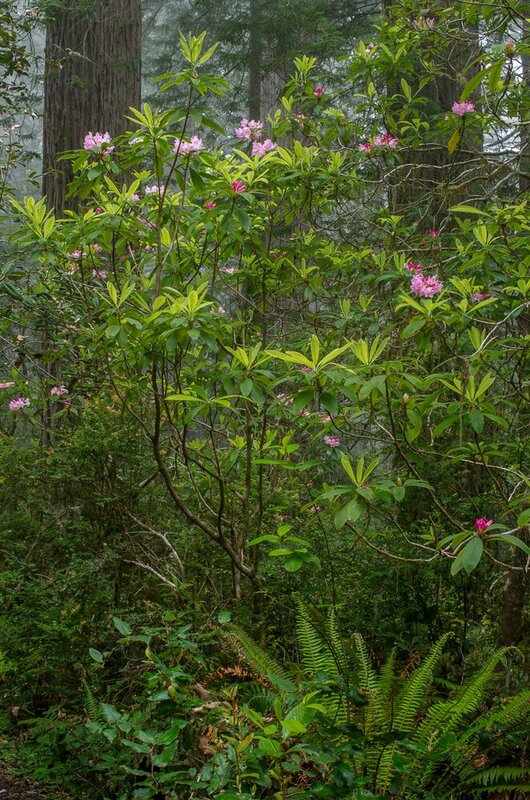 Instead, they bloom high off the ground, away from the big redwoods, often in the least attractive places. 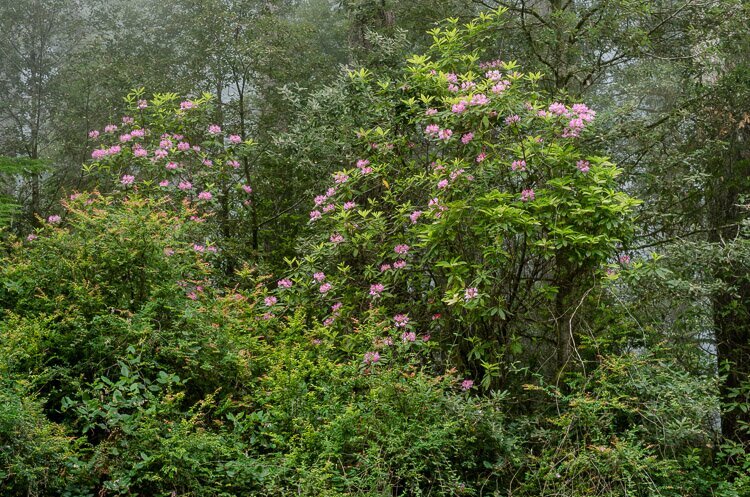 As a photographer, I feel I have as good a chance of getting that perfect rhododendron shot as I do of getting the perfect Sasquatch shot.